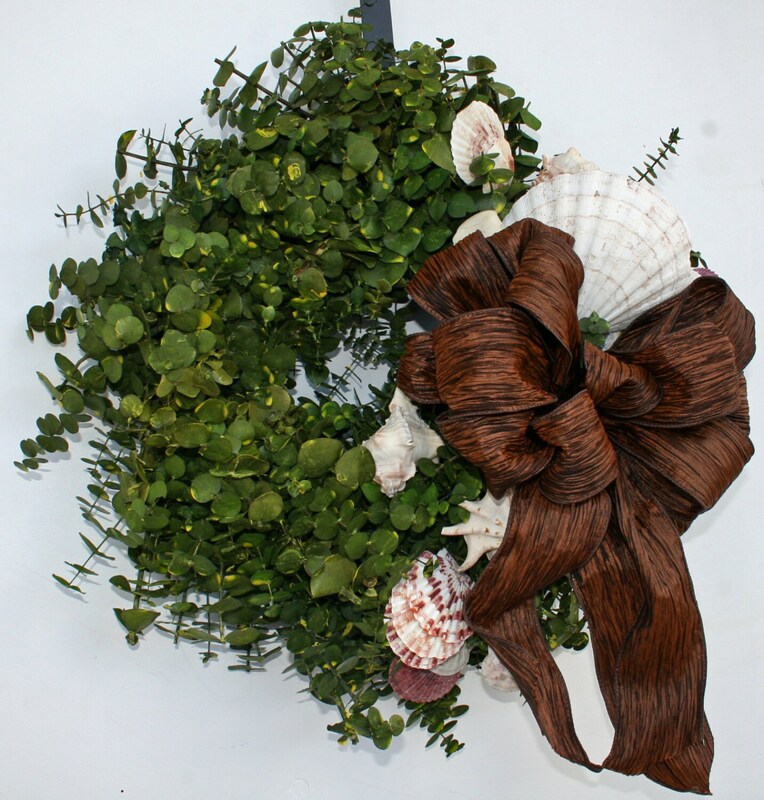 Eucalyptus wreaths are beautiful, aromatic floral arrangements. It is one of my favorite materials to work with. 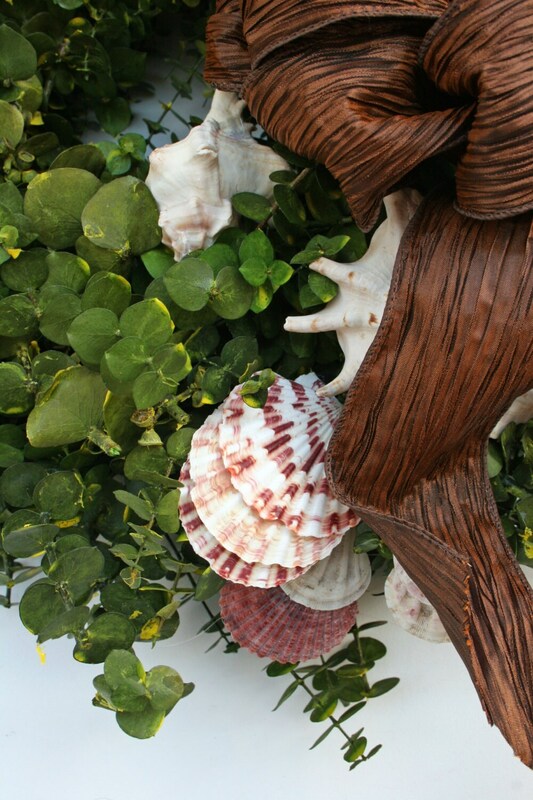 This wreath has a cottage, beachy feel and I completely created it using "naturals". 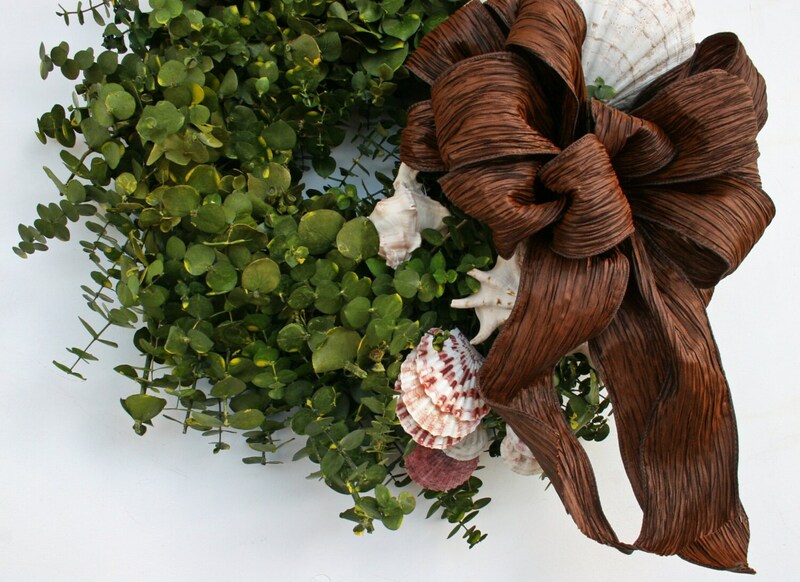 The wreath base is a 12 inch boxed wire wreath with bunches of olive green dyed eucalyptus. I handmade floral picks using sea shells. 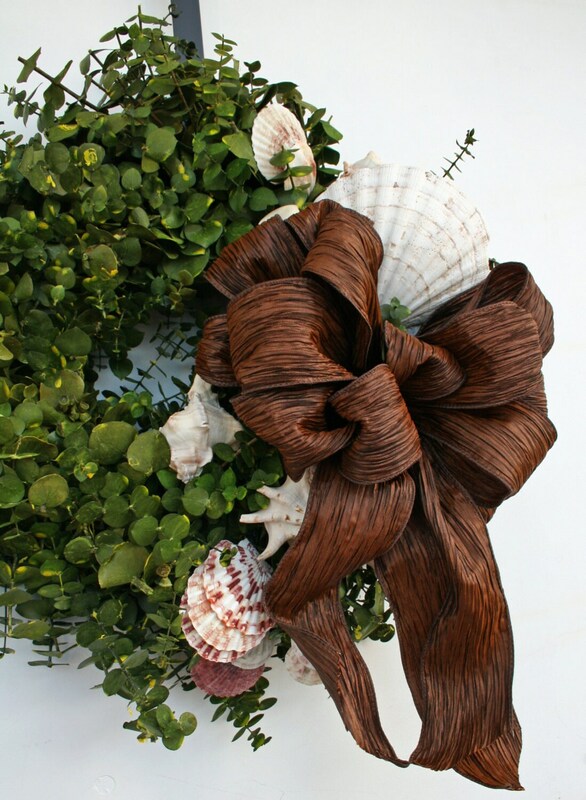 A beautiful chocolate ombre bow finishes off the wreath. 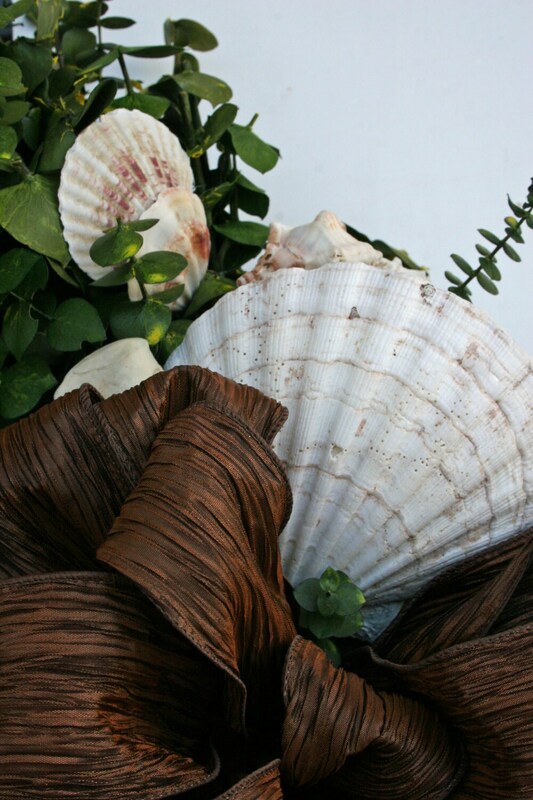 Due to the use of all natural material, it is recommended you display the wreath indoors and out of the weather. The entire wreath measures 20 inches wide by 20 inches tall, tip to tip.